At least, it seems this way in North America. I’d argue that elsewhere—primarily in Europe—this brand of horror is less popular. And perhaps that makes sense. Weird fiction of this sort seems to have had its birth in America, bursting onto the scene from Lovecraft’s pen. The exploration of the cosmic indifference (at best; malignance at worst) melded with the adventure story suits the mindset of the new world, whose mythology gravitates to philosopher-explorers. In this context, even the ineffectual scientist has something of a “manly curiosity” about him or her. The weird, for all the craziness that it might usher forth, has often been a genre that eschews much of horror’s potential subtlety. Grand revelations and operatics fill the role of the adventurer’s cliff-hanging, and everything tends to be bigger than the protagonists expected at the story’s outset. Weird fiction is about the universe and our existence within it. It may be about shock, but mostly it’s about awe. Strange fiction, on the other hand, despite sharing many of the same inspirations, is guided by different priorities. Born as an off-shoot of ghost fiction, the strange can be often—and reductively—described as “ghost stories without ghosts.” These are tales where the otherworld isn’t as much known as it is hinted at, and rather than explore the philosophies of our shared existence, the strange is more interested in the psychology of our individual lives. If the weird is cosmic, the strange is micro-cosmic, investigating the universe within our psychological existence. Being born of ghost stories, it’s no surprise many of the strange’s practitioners have been tied to that realm. Its forbearers include authors such as Edith Wharton and L.P. Hartley, and most especially Walter de la Mare, whose “Seaton’s Aunt” is a prime example of a story that takes a detour into the prototypical strange, leaving its reader with the telltale sensation that more was going on beneath the story’s skin. But it was Robert Aickman who later took the strange tale and made it his own. Under his guidance, the strange became something mysterious, something that made less sense on a literal level than it did on an instinctual one—or, at the very least, something that subscribed to the logic of dreams. Much like “nightmare horror,” the strange is best when it’s harnessing the power of dream imagery to activate our subconscious understanding of events and our biologically-coded desire to form patterns out of disparate elements. By presenting a story that fails to make literal sense, our subconscious creates bridges between moments and generates the story for us. In the hands of an expert, this bridging can be guided to form a narrative that satisfies without necessarily providing logical coherence. This is the power of the strange. Even when its narratives don’t take full advantage of dream-logic to form their connective tissue, the strange tale can nevertheless induce in the reader a dreamlike state by unfolding its stories at a different pace than reality. In essence, that altered state is an intended and important part of its atmosphere. Consider the state of mind created by a film like Peter Weir’s A Picnic at Hanging Rock or David Lynch’s Inland Empire, where time slows and actions take on a disconnected quality. Or think of the town behind the mist in Thomas Ligotti’s “Our Temporary Supervisor,” whose tone suggests a similar dreamscape as might be found in a Robert Aickman piece. These hazy hints of a world off-kilter are a fundamental aspect of what we consider horror fiction; however, where we might see this technique sprinkled in small doses in traditional narratives—the ghost in the mirror, the sensation of being watched from the shadows—with the strange the entire tale is designed to fully exploit it. It’s these feelings of disconnection that form the primary power of the strange tale, and from where it draws the bulk of its emotional power. Real life moments of loss, despair, and depression wreak a certain kind of havoc on us and can quite literally distort our comprehension of the world as we experience it. In many ways, this distortion and that of the strange’s dream-logic overlap, allowing the strange to become a proxy and providing readers the opportunity to directly confront their turmoils. That being said, it would be irresponsible to suggest the readers are then able to prevail against these forces, for with the strange no one really comes out ahead. Those that survive are ultimately scarred by the experience—which may be the most realistic and lifelike of all horror’s punishments. Existential wounds follow both the protagonists and the reader long afterward, which plays in stark relief to the weird and its sudden onset of temporary madness in the face of the impossible. This sense of disjointedness in the strange story also illustrates one of its most severe challenges: these tenuous effects are difficult to sustain at novel length. Readers can only submit themselves to a certain degree of subconscious narrative before they pull the plug on the affair. It’s thus in short stories and novellas where the strange succeeds most. The weird doesn’t suffer these same issues necessarily, as its hybrid-adventure nature provides an easily defined arc for its characters and is equipped with built-in ratchet-points that lead to singular revelations. This framework more easily supports the weird, and since the novel form continuously proves the most popular with readers and publishers, the ability of the strange to gain a foothold in the larger publishing markets continues to dwindle. And perhaps it’s best this way. Despite the growing popularity of other threads of horror fiction, the strange’s slow resurgence progresses unabated. It has perhaps taken more time to enter popular consciousness than the weird, but with an increasing number of talented writers working in the mode, new strains are already beginning to emerge (most notably, the decadent strange from Eastern Europe) to prove its vibrancy and vitality. The strange may not receive the same level of notoriety in America it deserves, but as our global community continues to grow and the barriers between nations fall, I suspect the strange’s stature will only strengthen in the oncoming years. 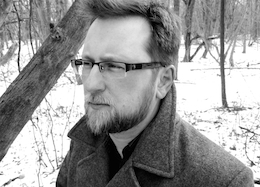 Simon Strantzas is the author of the critically acclaimed short story collections Beneath the Surface (2008), Cold to the Touch (2009), Nightingale Songs (2011), and Burnt Black Suns—published in 2014 by Hippocampus Press. 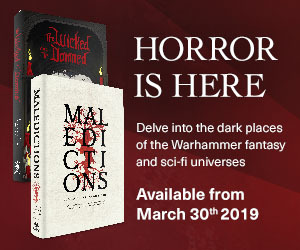 His fiction has been nominated for the British Fantasy Award, and has appeared in The Year’s Best Dark Fantasy & Horror, The Mammoth Book of Best New Horror, The Best Horror of the Year, The Year’s Best Weird Fiction, the Black Wings series, Postscripts, Cemetery Dance, and elsewhere. He was born in the cold darkness of the Canadian winter and has resided in Toronto, Canada ever since.